The Epiphone Toby Deluxe-V 5-String Bass Guitar Ebony will surely become a player’s classic. The original ‘Toby’ brought real innovation to modern bass players who were hungry for an instrument that could accommodate new styles and sounds. And now, Epiphone and Tobias team up again to put the Toby bass back on the cutting edge where it belongs with the Toby Deluxe-V. 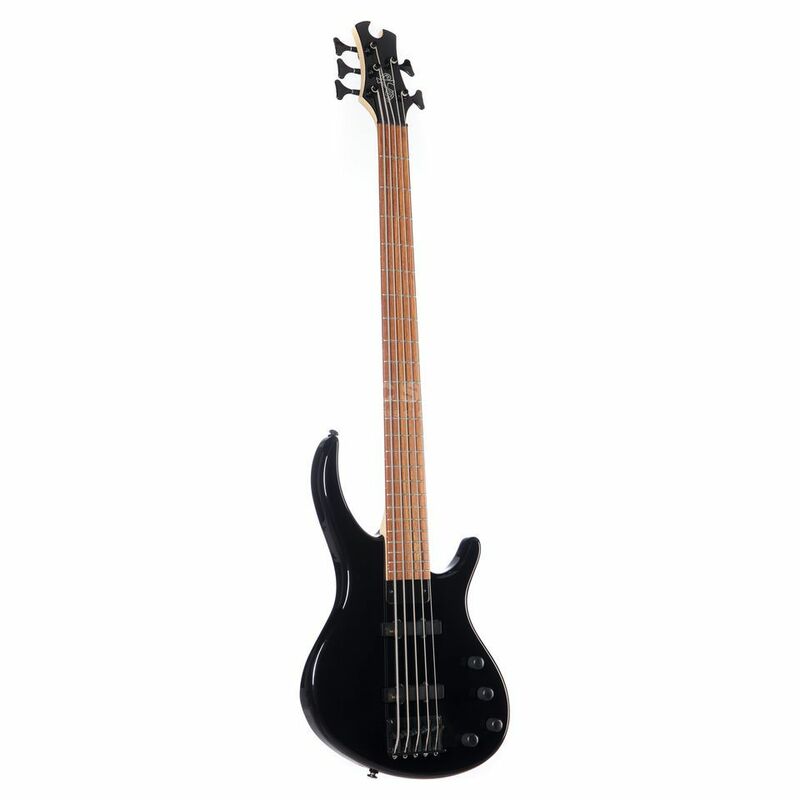 The original Toby Bass was designed by Michael Tobias and featured the classic ergonomic body shape that bassists find so easy to play. Toby basses have a focused, ‘finished’ sound that combines the punch of an upright bass with all the clear detail of an electric. And now for even greater sonic variety, the Toby Deluxe-V adds a 5th string tuned to low B. The combination of a low B and the Toby Deluxe’s Active Tonexpressor Bass Enhancement Control gives bassists the chance to break through into new dimensions on stage and in the studio at a price that any player can afford.